Welcome to today’s encounter with the Holy Ghost. Yesterday we began the intriguing story of a senior captain with the Dubai airline Flydubai, who was stopped from flying a scheduled flight from Tribhuvan International Airport (TIA) in Nepal to Dubai. The flight was supposed to take some 154 passengers from Nepal to Dubai, but just less than an hour to the Flight, crew members alerted airport officials that the pilot seemed impaired by alcohol, which turned out to be true. Part of the official statement from the airtime said, “Flydubai has a zero tolerance policy on flight crew found to be in contravention of the regulation regarding alcohol consumption. In line with these stringent rules, we conduct random tests on our operational staff. We further insist that anyone suspected of consuming alcohol prior to flight duty must be tested.” Of course, the pilot failed the alcohol test. Since the pilot failed the alcohol test, and was deemed unable to take the passengers to their destination, the flight had to be delayed. The time for the scheduled flight was 9:45am but Flydubai had to bring in other pilots on its next flight to fly the plane. That plane didn’t land until 3:40pm. The whole nation of Israel was DELAYED in their journey to the Promised Land for seven days, because of Miriam’s careless criticism of Moses- (she was not drunk with alcohol but with PRIDE and she was banned from “flying “ – making progress by the ETERNAL BOARD OF HEAVEN ). Number 12:15 says, “And Miriam was shut out of the camp for seven days: and the people journeyed not until Miriam was brought in again: It is the will of God that we move forward. God hates delay and stagnation. He specifically said to mosses Wherefore, cries thou unto Me! Speak unto the children of Israel that they go forward” – Exodus 14:15. Sometimes too, someone may be responsible for his own delay: the journey of 40 days for Israel turned out to be 40 years because Israel became a problem to herself. Arise and decree: “NO MAN OR POWER SHALL DELAY MY DESTINY AND I SHALL NOT DELAY MY STORY TO GLORY testimony in Jesus name.” AMEN! Father, don’t” me become a delay to my life! Let NO SIN OR HABIT HINDER YOUR MOVE concerning my destiny this year in Jesus name. Next Post:Our Daily Manna 31 January 2019 – THE LAST TEMPLE: YOU ARE UNSTOPPABLE! Oh my God do not let me become a delay to my life this year. Every delay agent, s-c-a-t-t-e-r!!!!!!!!! -In the name of Jesus!! 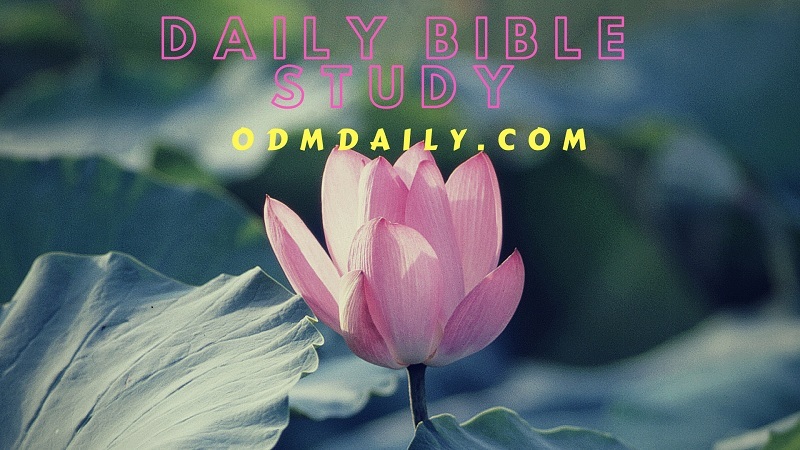 please upload the devotional early, as some of us working have to use other devotionals. The presence of odm in South Africa in major cities is low.